Why Do So Few Marketers Care About Quality Leads? Every day the battle rages on in the marketing trenches between quality and quantity. There are many marketing practitioners who will swear up one side and down the other that better quality leads are what they are looking for. There is no question about this. Better quality leads mean people at companies who are more likely to buy what you are selling. 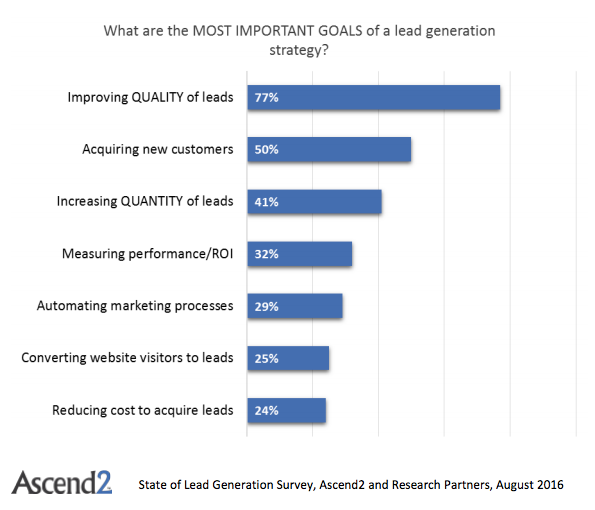 In fact, 77 percent of marketers surveyed by Ascend2 listed improving the quality of leads as the top goal of their lead generation program. This is up 7 percent from the same survey last year. This is more than three-quarters of marketers, so you might assume that the battle is over, and the quality warriors won. But there is a second data point in the survey that is worth looking at: Forty-one percent report that they want to increase the quantity of leads generated. They want more leads—not better leads. Respondents could select more than one answer, so this is not a clear either-or decision. But an awful lot of marketers are saying they just need more leads. And of that group, there are likely many who are only looking for more leads. That means that more leads is their leading goal. Developing a lead generation process should be a joint effort between marketing and sales. This is the easiest way to develop alignment between the two departments. And based on their typical response to the leads generated by marketing—that is, rejection—it is not likely that sales is clamoring for more leads. They want better leads. The situation is this: Marketing practitioners, or more likely marketing leaders, are demanding more leads. Every business looks to grow from year to year, and yours is likely no exception. Depending on the size of your company, you might be projecting 20 percent, 50 percent, or 100 percent growth in revenue. You can do the math backwards, based on your average conversion rates at each stage, to determine how many leads you need. There are two ways to look at this, but just like the survey results, they are not mutually exclusive. You can try to get more leads overall, regardless of quality, which could ultimately yield more sales. 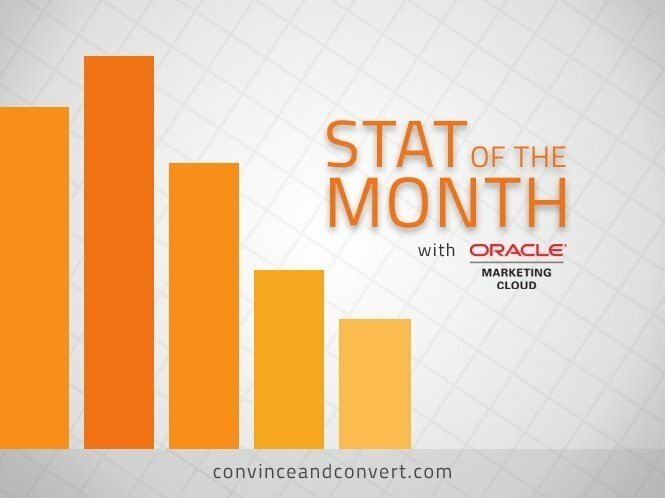 That assumes that your past conversion rate holds true—and you know what they say about past performance. This is especially true if you change your tactics to get more leads, just so you can say you got more leads. The other way is to improve the quality of your leads. This will actually improve your conversion rate and get you to those higher sales numbers. If you bring in more people who are more likely to become customers, guess what? More of them become customers, thus increasing your conversion rate. The math is relatively easy, but you can always let your Excel spreadsheet handle the heavy lifting. The only thing that changes is the percentage of responses that become marketing qualified leads. If you can’t reasonably increase this conversion rate enough to account for the suggested overall increase, you may also need to increase the number of leads, too. And remember, you cannot just change the numbers in your spreadsheet without actually changing your marketing activities. To improve your overall lead pool to make sure you are getting better qualified leads, you probably need to add some sort of data analysis or technology to your marketing process. For example, examining your existing customers to develop lookalike models will help you more easily target the right prospects. So the next time your management team give you a new, ridiculously high number of leads as your goal, before you accept that number, ask a question: What if we bring in better quality leads instead of just more leads? Follow that up with a plan for how you are going to do it. We might just be able to keep increasing the number of marketers who want better quality leads.